A quaint stillness permeates the seaboard that was devastated in the tsunami six months ago. Away from the hustle and bustle of the towns, the villages Rathgama and Dodanduwa exude an aura of distinct quietude with men and women going about their daily work. Around the village the abundance of the Rathgama lagoon, a sprawling sheet of shimmering aquatic delight rich in its biodiversity, brings a comforting breeze to the locality. It is like an ancient giant silently watching over the poor villages where women spin coconut fibre strings or make loose strands of fibre the difficult way, beating hard on the coconut husks soaked in the lake with wooden machetes, till the sinews of their hands ache from sheer physical exertion day in, day out. All that labour for a mere pittance, in a country with a milieu virtually adulating the so-called market economy and the "level playing field". The product of incessant labour drips from their hands and faces in the form of drops of sweat, which the celebrated Bengali poet Rabindranath Tagore wrote was where God made his abode. When one passes the Dodanduwa bridge on the Galle Road ancient single storey buildings that line the road among the newly built markets or kiosks seem to beckon one to an age of prosperity and bygone resurgence towards the latter half of the 19th century when Buddhist leaders like the Most Ven Hikkaduwe Sri Sumangala Nayake Thera attracted Western intellectuals like the American theosophist Col. Henry Steele Olcott. Olcott came here to learn the rich cultural and religious heritage of this country and unlearn some of the pseudo-intellectual teachings and beliefs of the newly civilized Western world. Less than a kilometre from the Dodanduwa Bridge is a turnoff to the left that leads to interior hamlets of the main village and a special school. A memorial complete with a statue of another bhikku, Ven Sasanalankara Vinayacharya Siri Piyaratna Tissa Nayake Thera (known as Dodanduwe Piyaratana Nayake Thera), who placed Dodanduwa in the annals of the country’s education history can be seen at the turn. He was pious and erudite monk whose efforts made this school a reality one and a half centuries ago. A name board stands opposite the statue, Dodanduwa Piyaratana Vidyalaya, the first Buddhist school established in the colonial era after the British introduced their system of school education replacing our own system of education that was thousands of years old. Like a lone sentinel, the saffron robe clad image of this illustrious son of mother Lanka seems to be patiently watching what has become of his noble dreams today. Though thousands of people pass the image on Galle Road daily, only a handful of people of even the locality are aware of his great service today. A hundred yards from the turnoff are a set of walled in school buildings on either side of the road. When this school was opened in 1869 it was in a background of the British colonial rulers discouraging and stifling efforts of indigenous leaders and intellectuals to resurge their own cultural heritage and civilization, the preservation of their very birthright. One has to go back to 1812, when Robert Brownrigg, the notorious British governor who was recalled to England in disgrace after his scorched earth suppression of the Kandyan peasantry’s rebellion of 1817-18, wrote to his superiors in England that it would be a useless exercise to open any more schools in this country as the local children do not come to these schools. They go to the Buddhist temples, sit under the Bo tree and learn under Buddhist monks who wield tremendous influence over laymen. Unless the strong bond between the Buddhist monks and the lay society was broken it would be useless to open any more schools in this colony, Brownrigg wrote to his government in August 1812. Thus did the work of "educating and converting the pagans" begin in a country that had a flowering literature, art, sculpture, architecture and the world’s most advanced irrigation systems and well planned cities with running water supplied via underground conduits. In pursuance of Brownrigg’s policy of discouraging the Buddhist clergy from playing their traditional key role in education, more and more missionary schools were being opened up under the patronage of the British government and a number of laws were enacted to discourage the Buddhists. Dodanduwe Piyaratana Thera, the founder of Dodanduwa Piyaratana Vidyalaya started the Dharmarthasiddha Society with the express intent of starting Buddhist schools as far back as 1869, the year in which the school was opened. An inlet formed along an outcrop of rocks at Dodanduwa, adjacent to the Rathgama lagoon was a small port of call for sailing vessels in past centuries even before the Portuguese set foot in the country that had brought prosperity to the two villages. The fisher folk of Dodanduwa were famous for their salted fish, which found a ready market all along the western seaboard. Local, Indian and Maldivian sailing vessels called over at this port as well as at Beruwala, Weligama, Devinuwara, Colombo, Chilaw, Mannar and even as far away as Trincomalee and Batticaloa. There was trade with vessels that came from Trichinapoly, Nagapattanam and Kaveripattanam and the goods that changed hands ranged from the famous salt fish of Dodanduwa to clay roof tiles, clay pottery, and handloom textiles. People of the area were prosperous and most fish caught in the locality were salted or sold fresh. When the sea became rough, they sailed to fish in the seas off the east coast during the South West Monsoon. The sailing craft were as large as 60 or 70 feet long, a veritable fishing and trading fleet sometimes drawn up on the beach after sailing like the wall of a fortress. With the prosperity reached by the people religious resurgence and the penchant for learning among these enterprising people also grew. Dodanduwa port became the centre that helped to establish the Sri Kalyaniwansa Maha Nikaya sect of the Buddhist clergy that led to the national resurgence. In 1808 the Most Ven Kathaluwe Gunaratana Tissa Nayake Thera and his lay followers set sail from Dodanduwa in a local vessel for Myanmar to bring the Upasampada, higher ordination from that country as Buddhism and ecclesiastical development under continuous onslaughts of the Portuguese, Dutch and later the British had continued to suffer and decline. There was an even earlier visit to Myanmar by the Ven Kapugama Dhammakkanda Thera from Dadalla, Ven Bopagoda Sirisumana Thera of Rathgama who also left by a sailing vessel from Dodanduwa in 1786. These devoted theras set up a vihara in Dodanduwa in 1802. Legend has it the theras, seeing a luxuriant ginger plant, when uprooting it found a ginger tuber the size of a parasol and decided to build their temple on that spot. Some years later a marble image of the Buddha was found at Kaveripattanam in India and the French Governor of the district, who was approached by the Ven Sasammatha Dhammasara Thera, chief incumbent of the temple at Dodanduwa, gifted the statue to the temple. A second image of the Buddha that was found at the same site that was smaller in size was offered to the temple by the residents of this Indian port town. Of this temple’s past, history and legend is interwoven. Named Shailabimbaramaya, the two marble images of the Buddha can be seen in the temple today. More importantly, the valiant and tenacious efforts of the Buddhist clergy of the Southern Province, especially Rathgama and Dodanduwa is an epic forgotten by people whose pursuit of overtaking their neighbour has made most of them rats in a meaningless race. The school had a complete lab, one of the first labs in the Southern Province that was started by the Ven Dodanduwe Piyaratana Thera and fully equipped by Colonel Henry Steele Olcott himself after he visited the school in 1880. Today the lab lacks proper facilities and equipment and science education at the school has lagged behind other schools in the area. The number of students on roll today is 191 with classes from grade one to eleven. Some classes have only seven or eight children. The principal, Ms. Y. Seelawathie says children of the locality go to other schools, as they are popular and that this school has been neglected for sometime, especially during the past decade. Some of the buildings have collapsed while most others are in a neglected state. The education department or the ministry are probably unaware of the historical significance of this school, which has been named a National Heritage by the former minister of Cultural Affairs Vijitha Herath very recently. One wonders whether the president who is herself the Minister of Education is aware of the existence of this school as no educational dignitary or plenipotentiary has ever visited it or taken notice of it. There are various Buddhist societies and organisations in the country like the ACBC and even political parties that claim to fight for the rights and privileges of the Buddhist society and religion but the first Sinhala Buddhist School has not received their attention for decades. In fairness to the Buddhist Theosophical Society, it has to be said that they thwarted a recent attempt of the Southern Provincial Council to convert the school to a temporary shelter for tsunami victims last year. The Theosophical society official objected to the school being used as a camp for tsunami displaced but a part of the school’s land has been given to an NGO that has been criticized in certain quarters as an anti-Buddhist organisation to put up tents for the displaced. The school had one of the best libraries in the south that Col. Olcott and many other Buddhist leaders helped to develop but surreptitious hands had been at work and most of the invaluable books have gone missing. There is no librarian. One of the objects of historical value and significance, an 8mm film projector gifted by Col. Olcott to the school has been sold by the Education Department to a person of the area for 400 rupees. The department has acted under the Financial Regulations and had condemned this artefact as an "unserviceable item" and sold it to the highest bidder! Just how stupid could red tape really become? Col. Olcott visited the school and Sri Shailabimbarama Dodanduwa where the Piyaratana Nayake Thera lived. The thera advised Olcott to help open Buddhist schools, not in competition with the Christian missionary schools but to give an opportunity to rural Buddhists who could not get the recognition of the colonial authorities if they had received their education in the Buddhist temples or Pirivenas. Col. Olcott took this advice, as he had known the thera with whom he had corresponded since 1878. 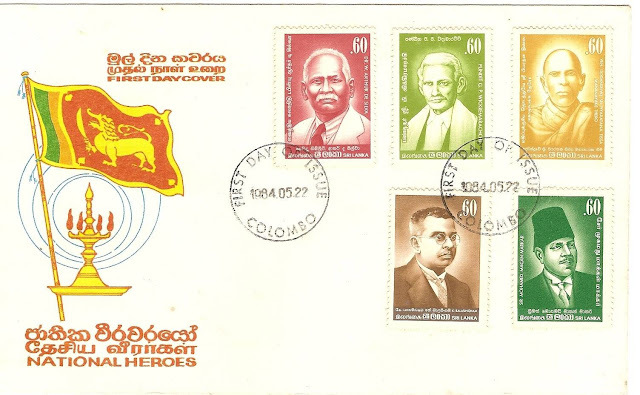 Though many writers have written that Olcott's visit to Sri Lanka was inspired by learning about the religious debate at Panadura it is the correspondence he had with the Ven Piyaratana Nayake Thera that brought Olcott to our shores. In the archives, Olcott's diary still exists. He has written that he came to this country from the port of Galle and visited the temple of Piyaratana Thera after addressing a gathering of about 2000 that came to Galle to greet him. He said the temple was one of the most well organised and orderly temples. He spent ten days at the temple discussing the future of Buddhist education in this country and formulating the concept of the Buddhist Theosophical Society (BTS) schools that changed the colonial education map of this country. History sits like an unseen but ubiquitous reality here. Even the Tibetan born Ven S. Mahinda who adopted this country as his motherland and became the poet laureate of the freedom struggle was also ordained in the temple of Ven Dondaduwe Piyaratana Nayake Thera in 1911. At present, we have stepped into an era of spurning history, especially after 1977. When one visits the school one is really treading on hallowed ground, still held close to their hearts by persons of the locality. The principal proudly shows the shrine room with a Buddha image completed recently by two well-wishers. This new shrine in spotless white is perhaps the only feature that has been added on by the present generation. The promontory projecting into the lagoon from the adjoining Rathgama rises above the waters as one goes on a village road to the hamlet Moraththuduwa. Here atop its crest hiding under the lush canopy of areca, bamboo, jak, and coconut trees is a middle class home where a lone campaigner Amarajeeva de Silva Rajakaruna shows old documents, meticulously kept records of dates and events which he values as the most precious of all his worldly possessions. His father, octogenarian and retired principal D. D. de S. Rajakaruna, and his own father had been students of the Dondaduwa school. They have both campaigned for the revival of this school to its past glory. However, has our nation been cured of the ailment of the open economy that disdained this country’s national heritage preferring to count dollars while the people were told to earn money, money and more money and make merry, even if you had to commit the vilest calumny on the sacred treasures of this nation? Accessed the site in search of info on Sri Lanka's International Trade. May I ask, what year did the Ven Sasanalankara Vinayacharya Siri Piyaratna Tissa Nayake Thera (known as Dodanduwe Piyaratana Nayake Thera) pass away?